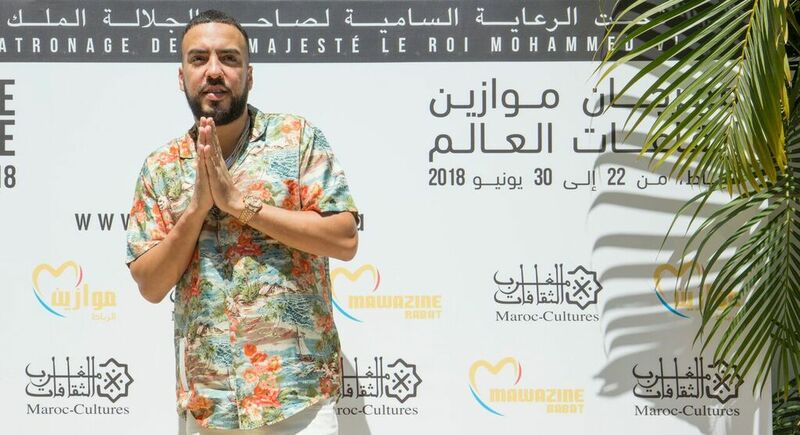 Rabat – French Montana set the tone during a press conference he held on Tuesday, June 26, conducting it in Arabic. Addressing journalists at Rabat’s Villa des Arts, he discussed his concert, cracked jokes, shared his influences, and expressed his pride in returning home. According to Montana, 100,000 Moroccans appeared to hear him last Saturday. 100 thousand Morroccans that look just like me came out to show love ?? I love y’all !! ?? 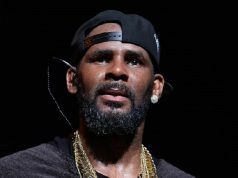 Montana specifically cited “feel[ing] like being part of the Arabic success,” adding that Arab rappers account for “only a small community” in the global hip-hop forum. “I just loved being a Moroccan guy who left his home at 13 to make the best music possible,” said Montana. The Moroccan celebrity went on, discussing his musical background and deep ties to the “raî” (Algerian folk) music of his childhood, citing Cheb Hasni as his biggest influence, as well as Cheb Khaled, the iconic Franco-Algerian singer. “I have been listening to Cheb Hasni since I was 10. It is part of my music influences,” said the 33 year-old artist, who closed his show with raî music at the OLM Souissi stage. Born in Casablanca, Kharbouch emphasized keeping in touch with his roots in Morocco. “I am still an Aroubi (country man),” he joked when asked about becoming a naturalized United States’ citizen. Later, when asked about the policy of US President Donald Trump toward the country’s immigrants, he quipped “That’s why I did everything to get my papers, so he would not kick me out!” which earned laughs from the journalists seated. French Montana received a tricky question when a journalist asked him about his booking fee for the show. She asked the superstar why he did not donate his concert’s money to Moroccan associations like the Emerati singer Ahlam Alshamsi promised to do after her show. French Montana engages in many philanthropic projects across Morocco and across the continent more broadly. 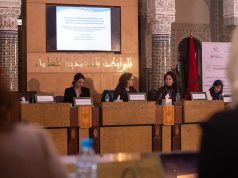 In February this year, Montana pledged philanthropic support for Morocco’s education system. 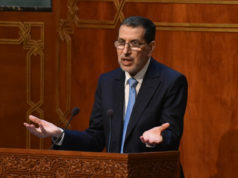 He continues his work with the PanAfrican Movement and CARE Morocco, which ensure that the children of Casablanca have full access to a quality education and healthcare.